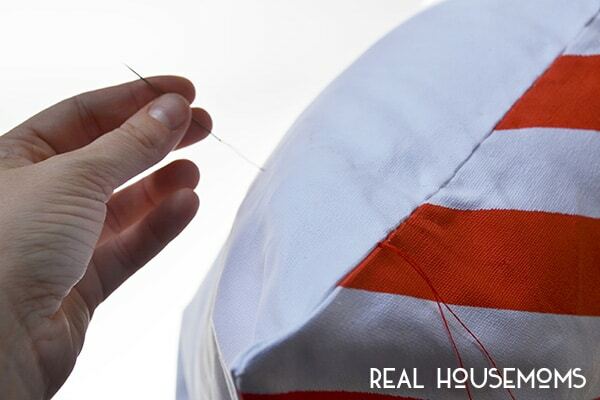 Sewing something by hand may seem like a daunting task, but it’s super easy. 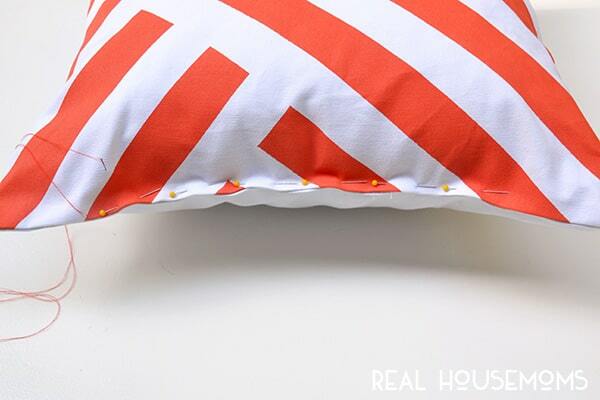 The invisible ladder stitch is, by far, one of the easiest stitches and makes sewing up softies and pillows a breeze. 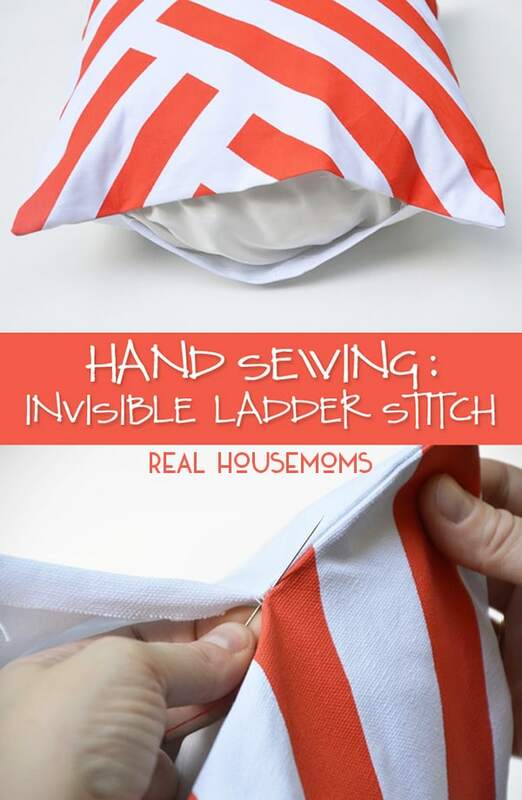 Also, if the name of the stitch didn’t tip you off… it’s invisible. First things first; thread your needle and tie the two ends together in a knot. 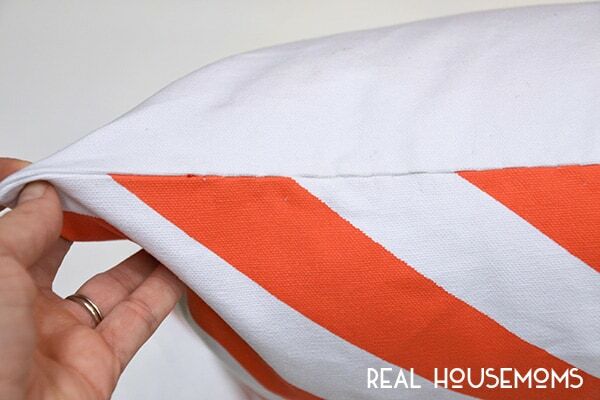 Next, run your needle from the inside of the pillow up through your machine stitches. This secures the thread and also hides your knot. Next, pin your pillow closed all the way across. 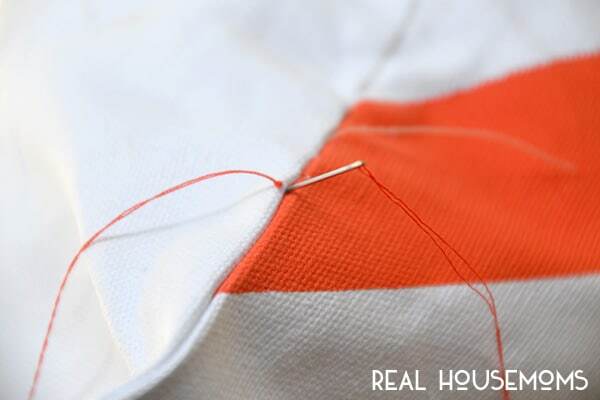 To start the actual stitch, insert your needle pretty close to where your thread is coming out of the pillow and run your needle in the fold of the fabric and come out about 1/8 inch down. Then, hop over to the other side of the opening, insert your needle and run it down the fold of the fabric about an 1/8 of an inch. That simple. Just continue doing that until you get to the end of the pillow opening, pulling the thread taught every couple of stitches. It helps me to say “down the road and across the street” on each stitch, especially if I’m having a drink while sewing. Wink. This is a little “thread map” for you so you can kinda get an idea of what the thread should be doing. 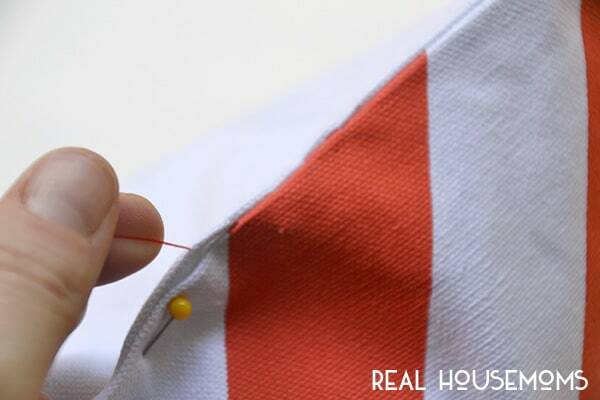 Once pulled tight, the stitch disappears and you have a nice, invisible stitch. When you get to the end of your opening, continue sewing just past your machine stitches, pull the thread through and tie a knot. … and come out of the pillow in some random spot. 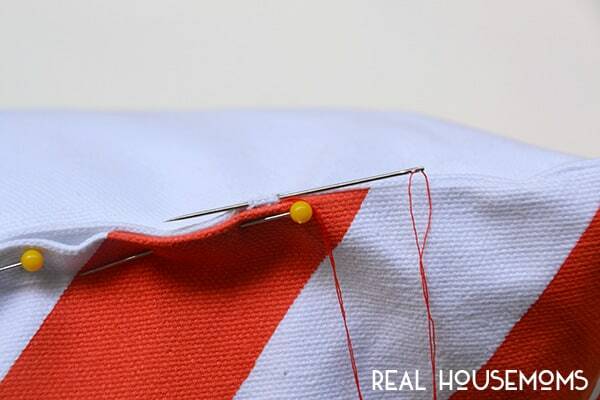 Give the thread a gentle tug to pop your finishing knot into the seam, hiding it. Once your knot is hidden, you can clip your thread and the excess thread will get kinda sucked back into the pillow. There it is! 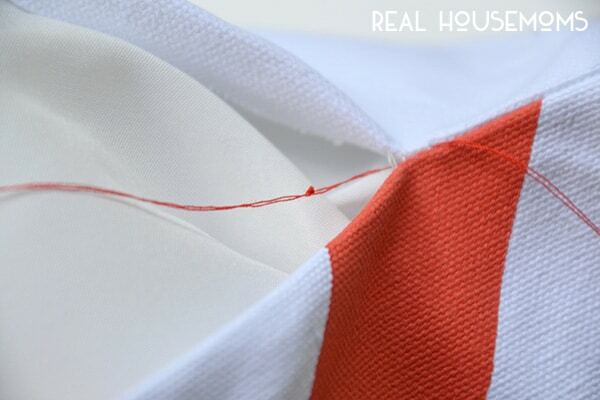 I used an orange thread on white fabric and you can’t even see it! I was a tad lazy here and spaced my stitches out a little more than 1/8 inch, call the pillow police. 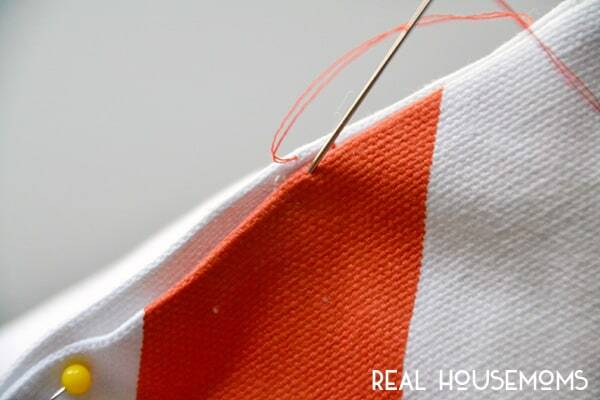 This stitch is something everyone should know. 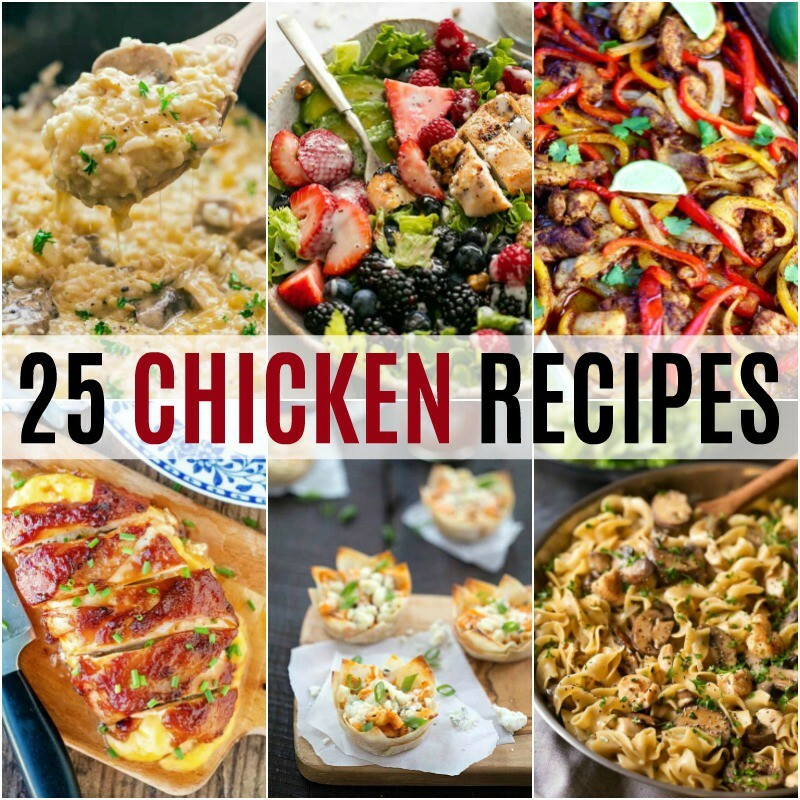 My husband even knows how to do this. Which is a point I brought up the last time I was fixing the cuff in his pants. 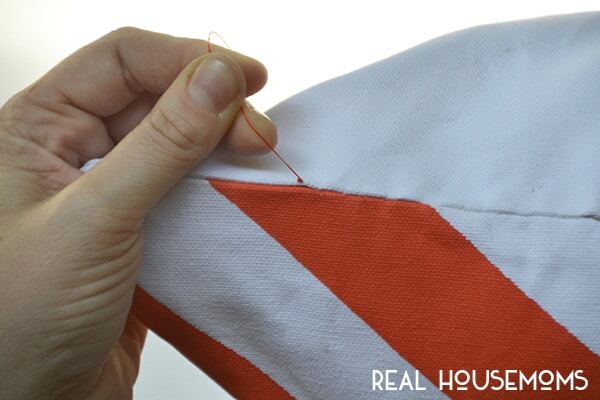 It’s a great stitch that’s easy to master and can be used on a number of projects, including sewing up certain kinds of upholstery or repairing piping on a chair.